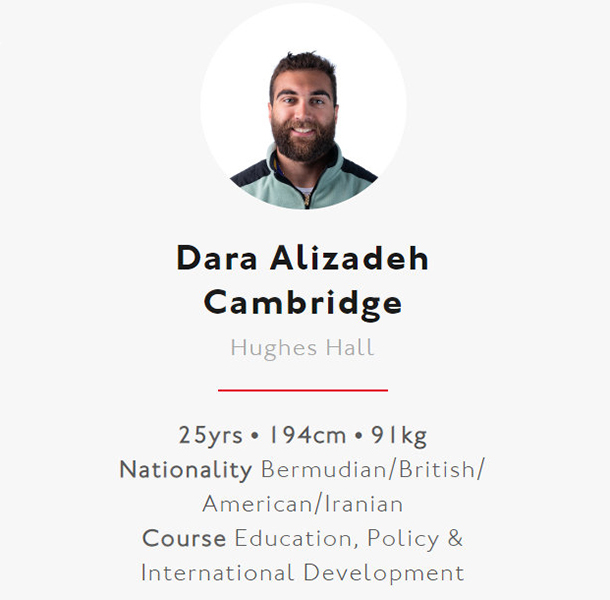 The Minister of Labour, Community Affairs and Sports Lovitta Foggo congratulated 25-year-old Bermudian Dara Alizadeh on being selected, for the second year, to crew for Cambridge University in the annual rowing race held between Oxford and Cambridge Universities. ‘The Boat Race’ is an annual contest between rowing crews from Oxford and Cambridge Universities that takes place close to Easter each year on the River Thames in south west London between Putney and Mortlake. The first Men’s Boat Race took place in 1829 in Henley on Thames following a challenge between old school friends. Since the second Race in 1836 the contest has taken place in London.